Keep your life easy when becoming a government contractor by using DCAA compliant accounting software. 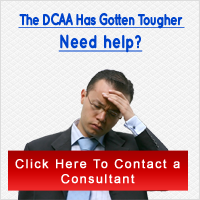 Nothing is quite like being audited by the DCAA; the demand makes the IRS seem friendly. Thus, be prepared to not only exceed the DCAA audit but to shine like a pro with software that is DCAA compliant. DCAA compliant software can verify your accounting methods and properly segregate direct and indirect charges of the winning contract bid. Additionally, these software programs allow the contractor to accumulate the costs of the project according to contract bid. Perhaps best of all, these programs allows for the compliance of timekeeping, which is a very important to DCAA auditors. Within the timekeeping aspects of DCAA compliant software, a contractor can verify all labor charges such as those that take during the life of the project to the accumulation of labor costs project completion. There is also the ability to create reports for labor distribution, supervisor authorization for leave or sick time, production costs, employee training and more. Whatever brand of software you choose, make sure it has a comprehensive approach to DCAA accounting compliance, addresses all your company accounting needs, and provides a training manual so that you not only get the most out of training your employee on DCAA compliance accounting but to get the most out of the software program. The right software will have you shining as a contractor in the eyes of DCAA auditors, which of course, can boost employee and company moral.